Top Four Tips To Have A Great Valentine's Day! 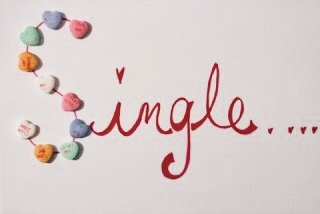 Believe it or not, Valentine’s is actually a great day to celebrate your singleness and actually meet someone. Below are my top four ideas on how to have a great Valentine’s Day. Have fun, you never know who you can meet! Really! Go out for happy hour, Sip & Paint, dinner, and mingle where you think there might be other singles. Think about it. If you aren’t coupled up and you decided to head out with some friends, chances are, most people at the happy hour are are probably single too. It can actually be a really great way to meet someone new. Nothing says let’s have fun than a party! Instead of sitting home alone invite people to celebrate the day. There are a lot of things you can do. You can just invite your girlfriends over for a Gal-entine’s Party. Who needs a valentine when you and your girlfriends have each other? Round up your girls, draw names from a hat, and buy whomever you draw a little something. Then, on V-Day, meet to exchange gifts. If an all girls gift-giving shin-dig won’t go over with your group, invite your friends over to celebrate being fabulous. Better yet, make it co-ed (have each girlfriend bring an available Bachelor friend) and you can you never know who you’ll meet. Has there been something on your list you have been meaning to try? Sign up for a yoga class, rock-climbing, or anything you have been thinking might be fun but has remained on your perpetual bucket list. You could take a cooking class with friends, or do karaoke. Challenge yourself to do something you haven’t done before or seldom get to do because of your schedule. Even if you don’t want to right now or don’t believe it will ever happen, everyone, including you, can fall in love. So take some time to write down a few love goals and the type of partner you seek. That clarity will make it that much easier to get there. Once you know what you are looking for, you can take steps on how to get there. Tired of online dating, ask a friend to set you up, or consider a matchmaker, or someone to help revamp your dating profile. We offer all of these services are NYCity Matchmaking and New Jersey Matchmaking, and have seen how these easy changes can make all the difference.